Earth is where we all reside. All human beings, animals, birds, fishes, plants, everything. Imagine then the life sustaining power of Earth! Become aware of the challenges that we are all posing for Earth. And ask yourself, what are we leaving behind for the future generations? At the international, regional and national levels, conferences are organized on this day to discuss and raise awareness on Earth and how sustainable development can be observed. However, not all are able to participate in such forums or are not part of institutions that work for sustainable development. Yet, there is no reason to say no to being a part of Earth and develop it. Just as small drops of water fills an ocean, each one of ours effort will move in the direction of development. Do not waste water. Wash vegetables and fruits, and collect that water in a bucket to water the plants. Meal plan wisely so that food is also not wasted. Remember not all are privileged enough to get a hot meal each day and several times a day. Throw waste, bio degradable and non bio degradable properly. Be creative and invest in ways to utilize the waste from each household. There are places which turn waste into bio gas and run their kitchens from it. Teach your kids about Earth and how it is degrading. Young minds are very powerful to understand and take things seriously. Make them realise what is ahead of them and how to make use to resources judiciously. Make planting trees and variety of potted plants at home and in gardens a collective social activity. Maintaining them, watering daily and giving manure can be easily done by kids with adult supervision. Contests can be held for the best crop, plant or shrub in the neighborhood. Take out time to research and read about the host of conventions and agreements signed on environment, climate and natural resources. Make the knowledge gathered spread to all generations. This will challenge your beliefs that nothing is being done and our leaders are useless. Read ancient scripts and history which tell how and why people of olden times worshipped natural resources and still continue to do so. For example, Egyptians worshipped Nile River and other deities as a way to thank them. Africans believed in he spiritual power of natural resources like trees from which food is procured. And, Indians continue to worship sun and moon. 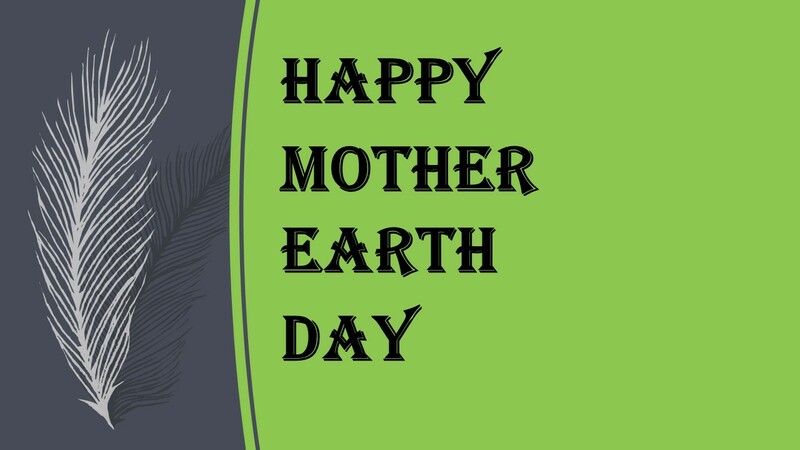 Make this day to honor Earth and show respect for its capacity to give a habitat for living and non-living things.